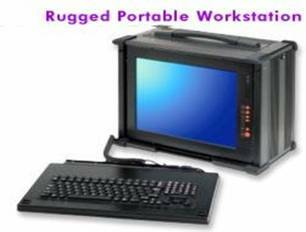 TransPAC-6300 expandable multi-bus, hardened portable workstation with removable solid state or standard drives. 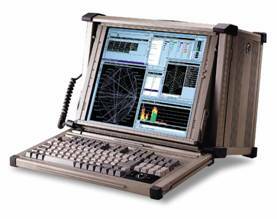 Hardened RTOS Embedded and Secure Portable Multi-Bus I/O, offers POSIX and Linux application support for secure mission-critical real-time operation. Rugged Portable computers, Data Acquisition LunchBox Computers. 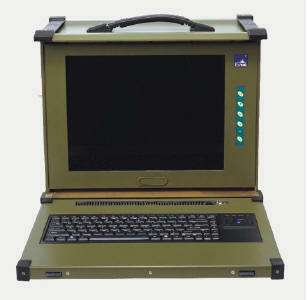 TransPAC-6300™ & 9063™ All Ruggedized, Die-cast Aluminum Portable and expandable, Multi-bus I/O Data Acquisition System for Instrumentation and multiple Scientific & Industrial applications… Used by such agencies and corporations as Homeland security for field surveillance or security applications, NASA, and the BOEING Corp for their aircraft data bus simulations..
EMI/RFI Shielded and shock and vibration protected. Where Notebooks and desktops fail, you will enjoy the flexibility of Multiple BUS (PCI, ISA, or PCI-X, PCI-Express) Expandability and Portability necessary for sensitive data acquisition or critical process measurements, such as in research laboratories, indoor or outdoor environments, Avionics, Automotive, Transportation, Imaging, Surveillance and Field applications. TERMS: Net 30 for Gov. Delivery: 21 Business days upon receipt of payment. Payments acceptable by company check, cashier or MO, Electronic Fund Transfer, T/T,/Wire Transfer. NOTE: Configurations shown are BASIC Minimum configurations. For upgrade to Higher CPU, Solid State Disk or HDD storage, memory and custom applications please contact your Sales Rep. or CALL.